Boulevard is specifically designed for direct sales and home-based businesses. It tracks customer information, inventory, sales and everything needed for tax purposes. 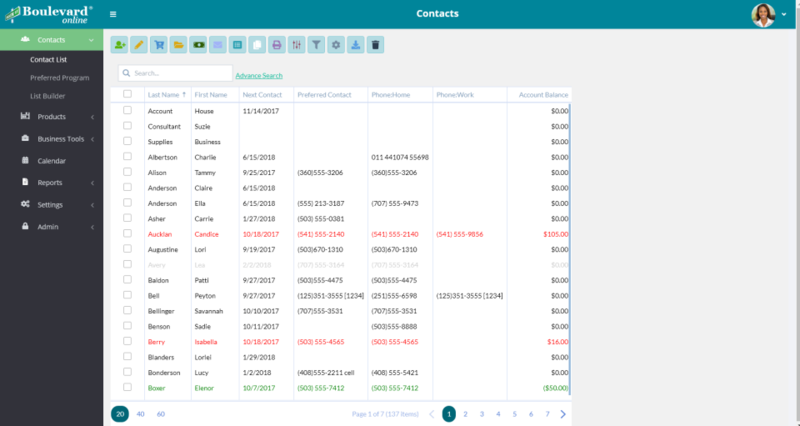 A CRM solution to track additional details of customers, including birthdays, preferences, wish list items, as well as inventory management, sales and everything needed for tax purposes. Boulevard is very customizable and has easy importing options to get up and running quickly! Pros: I love that it will keep track of my inventory, print customer invoices, and give me a system to keep track of my expenses throughout the year. Cons: I do not love the organization of the products. After using the software for a while the product categories get all out of sort. Overall: I've been using this software for close to 20 years and am overall very satisfied. I would recomend to any Mary Kay Beauty Consultant who wants to stay organized. Easy to learn with people that help. Pros: It does everything I need! Keeps inventory counts straight, calculates expenses, tracks customers. Cons: It does not work on my tablet or my phone. I also would my admin to update on her computer and have the changes reflect on mine.